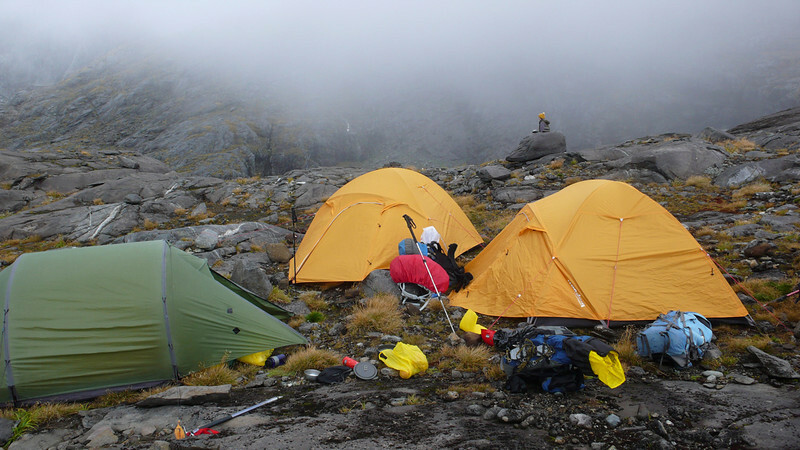 A fun Fiordland trip in typically diverse weather. We woke up on Saturday to cloud, walked into a blizzard, froze overnight then got too hot in the blazing sun on Sunday. We walked to Gertrude Saddle before seeting up camp, then went for a wander to the south side of Mt Talbot (above the Psychopath Wall). On Sunday we went up Barrier Knob and had a mini snowcraft course. The team: Jean Feary, Tessa Finnagan, Laura Doughty, Hannah Davidson, Dilyana Mihaylova, Liz Burdick, Jamie, Justin Burr, Jaz Morris.